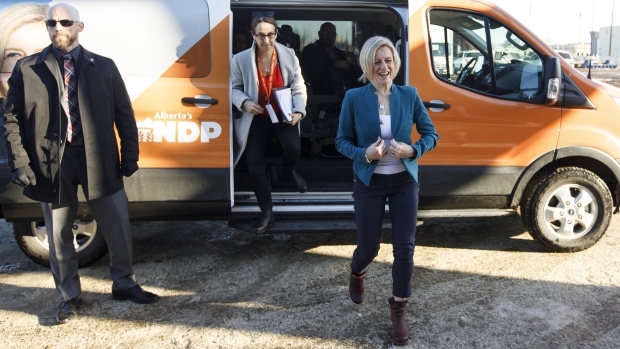 CALGARY -- Leader Rachel Notley says the New Democrats would expand $25-a-day daycare if they were to be re-elected in the April 16 Alberta vote. "For too many Alberta moms and dads, finding safe and affordable, quality child care is a real challenge," Notley said Monday. More daycare would get more people employed and add nearly $6 billion a year to Alberta's GDP, said Notley, who added that Alberta has Canada's largest gap between men and women in labour force participation. "I cannot count the number of times I have heard from women that good, affordable childcare is a barrier to them re-entering the workforce," she said. "Anything that holds Alberta women back, holds Alberta back." The United Conservative Party called the announcement "massive new spending" and said only some parents will benefit. "The NDP plan announced today will force parents who choose at home or informal child care to subsidize the choices of a minority of parents through their taxes," a news release from the party stated. "The NDP plan excludes rural families, shift workers, parents who work at home, and those who prefer less formal kinds of child care."